We offer an excellent set-up to both bigger and smaller groups. Some of our games have two identical rooms. By booking both rooms of the game, a group of 12 people can play the same game at the same time. If they wish, they can race each other in addition to racing against the time. Race Escape is possible at Fredrikinkatu in the games Royal Secret and Smuggler Monk. Our three locations and the total of 12 games make it possible for bigger groups to play at the same time. The maximum amount of players in one room is 4 to 6 people (depending on the game), but with all the games running, we can accommodate up to 100 players simultaneously. Our location on Fabianinkatu takes a maximum of 45 people. Here you can also book the Room of Cards for meetings or after-the-game celebrations. The outdoor games take max 25 people. Bulevardi 27 (the Alexander Theatre) takes 6 people. When planning your team outing, we recommend that drinks are postponed until after the escape room adventure. Your brains are as welcome as you are! To stay on schedule, please reserve 1,5 h for the whole game event. The outdoor games need at least 2 hours. Our pricing can be checked on the pricing page. Pricing is always based on the amount of people playing and the number of rooms reserved. Multiple rooms can be reserved at the same time by using our booking system. This way you can pay for your booking immediately and make sure that the time slot you want doesn’t go to someone else. If you prefer handling your company booking paying by invoice, this can be done as well. We charge 15€ for billing. Please read our billing instructions carefully before sending us an e-mail about your booking. a small event or would you like to book a meeting room? other to save some traveling time. 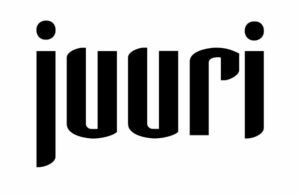 Restaurant Juuri is made of genuine flavors, sparkling passion, wild herbs, half-crazy ideas, love for the fruits of small producers and the skill to together make them an exquisite tasty menu. All the menus include appetizers, main course and dessert. Reservations from 17:00. 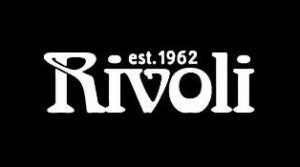 Rivoli, founded in 1962 by Ragni Rissanen, is one of the oldest still functioning restaurants in Helsinki. Rivoli combines warm-hearted service and pure flavor combinations. Rivoli’s food, wine and classically elegant furnishings create a genuine French atmosphere. For Escape Room Helsinki guests, Rivoli offers tasting menus by chef Neal Fox focused on seasonal ingredients and classic French cuisine. All menus include starters, main course and dessert. Bookings Tuesdays – Fridays from 14:00, Saturdays from 16:00. Sundays and Mondays closed. We also customise catering, meetings, saunaevenings or other parties just the way you wish. 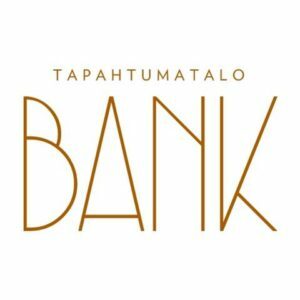 Sharing the same building as Escape Room Helsinki, Tapahtumatalo Bank offers a solution for all kind of events. We have a wide range of halls and meeting rooms. Various catering services are also available to be included as a meeting package. Rumour has it that in the mazes of the old Alexander Theatre, where our popular game Ghost of the Opera might be found, there is a cosy Speakeasy. In this secret lounge, you can enjoy a drink and hang out before or/and after your game. The Speakeasy is separately booked at salakapakka(ä)aleksanterinteatteri.fi. Would you like an escape adventure built for your own personnel, with a theme and story of your own choosing? Companies love this kind of fun, team-building event and order it for example to promote the social atmosphere in the workplace, launch a new product or create a happy ending to a seminar. What kind of space is available for the game? Will the game be part of a bigger event? With this information, we make you an offer in the return mail! In this case, there will be a handling fee of 15 € added to your game price. We book your games as soon as we have received the necessary information from you in an email. We will make the reservation in the name of your contact person and send you a confirmation as soon as it is done, normally during office days within 24 hours. Please send the booking request from your company email address. We send out invoices once a month. The average payment time is 14 days. If there are less players than agreed upon when booking, we can substract their cost from your bill. In this case, please inform us of the accurate number of players as soon as possible, preferably the day after the game. If the invoicing contains filling in forms, scanning, registering etc, we will charge a minimum of 20 € for the extra office work of 36 €+alv /h if it take over 30 minutes.